I bring even more exciting news for Wii U owners. Just a few months ago you got Minecraft, and now I’m delighted to announce that Minecraft: Story Mode is coming to Wii U this Thursday, January 21st. The Wii U version will feature off-TV play and mirroring for the Wii’s GamePad controller, so you can play when someone else is doing less-fun things on the TV. You can even use the nifty touch interface if joysticks and buttons ain’t your bag. The first episode will cost $4.99 or equivalent, but you can also buy a season pass for $19.99. That way, you’ll get access to episodes 2-5 as they become available to download. Minecraft: Story Mode is an episodic game series from Telltale Games. You play as Jesse who can be a male or female hero, and embark on an exciting adventure to save the world while learning about a group of legends known as The Order of the Stone. It’s a massive amount of fun for fans of Telltale’s games, Minecraft, or just good things in general. 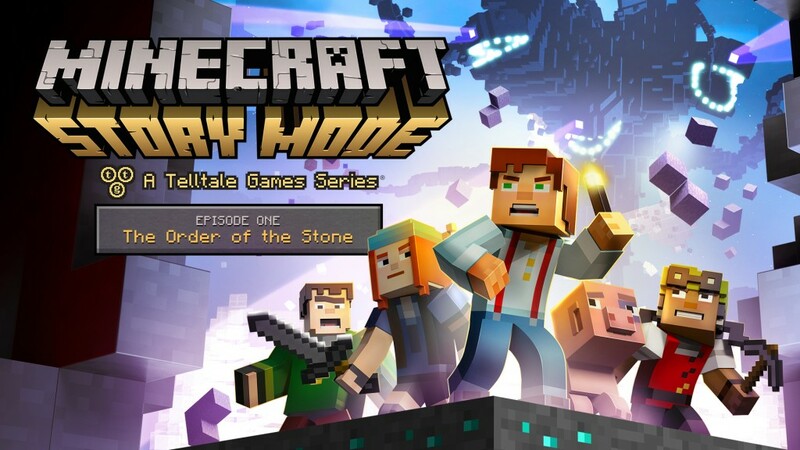 For more on Minecraft: Story Mode, check out Telltale’s official site. Have fun, Wii U owners! Take care of Reuben for me, yeah? You are currently reading Minecraft:Story Mode が Wii Uに登場 at minecraft.ologies.net.